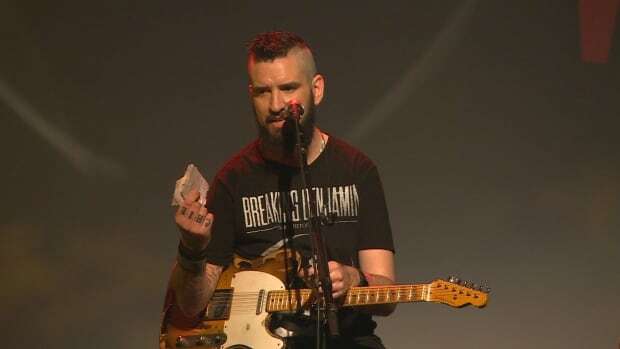 Music gave Robb Nash a second chance at life — and he's using it to reach teens at risk of depression, bullying and suicide. At 17, the Manitoba musician was in a serious car crash that crushed his skull and left him with no signs of life. He was ultimately resuscitated — and miraculously survived. But for more than a year after his accident, Nash says he suffered from depression and suicidal thoughts. "I woke up from my coma and didn't know who I was. I didn't know who my parents were. I went through this very bitter time," he said. "I played every sport; I thought my life was playing sports. And now, here I am, 17 years old, and my mother has to bathe me again."